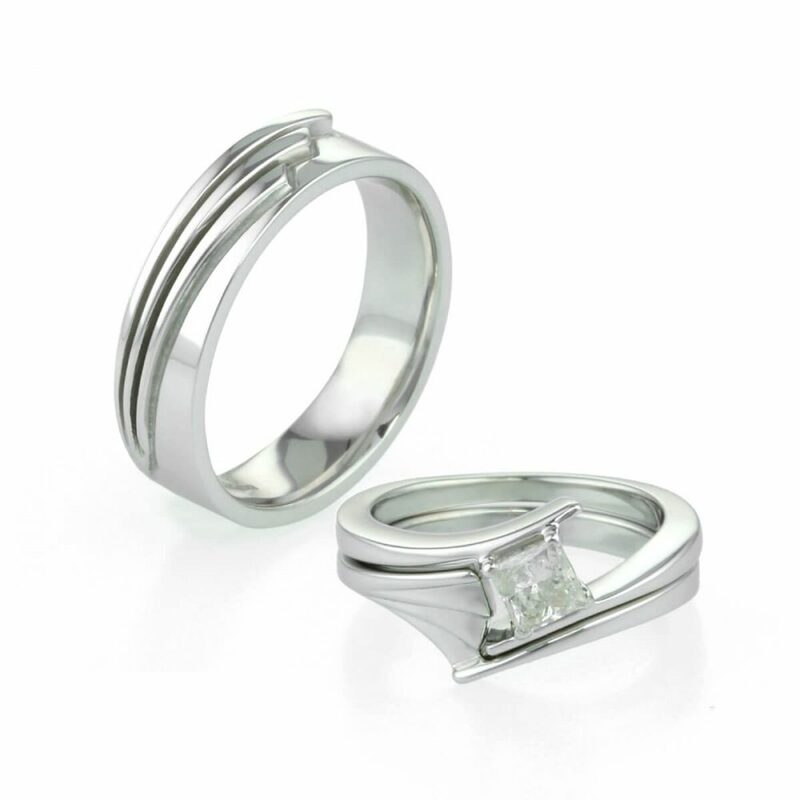 The rings were designed using CAD/CAM and initially cast in silver which was cleaned up and polished. A final cleanup and polish and the rings were ready. 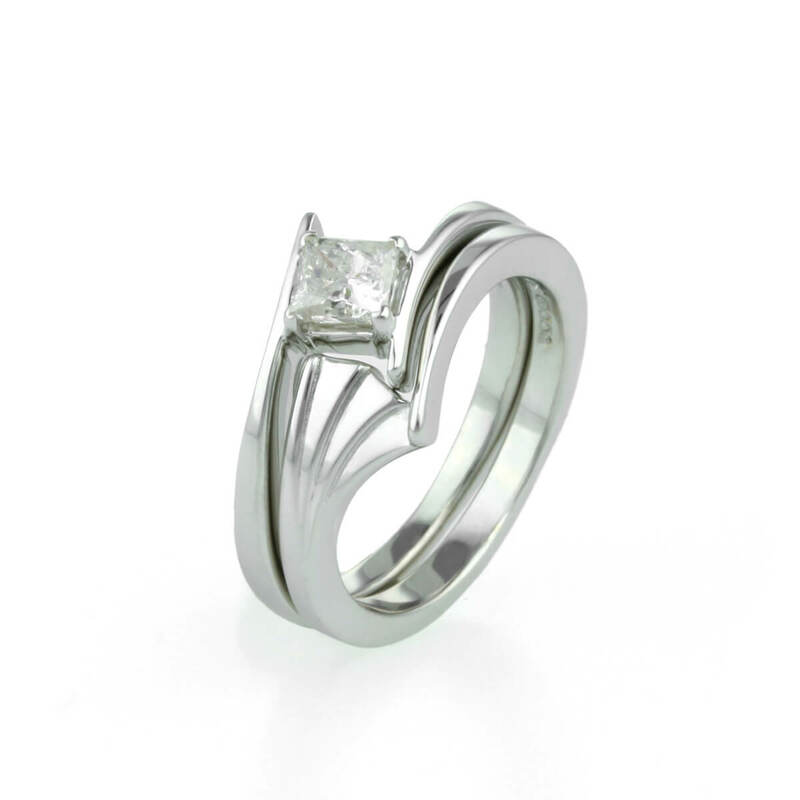 These 9ct white gold wedding rings were designed with an art deco theme. The ladies engagement ring was an unusual crossover shape and a wedding ring designed to fit next to it was needed.